The meetings will be held under the General Regulations of the Motor Sports Association (incorporating the provisions of the International Sporting Code ofthe F.I.A. ), these Supplementary Regulations and any written instructions that the organising club may issue for the event. 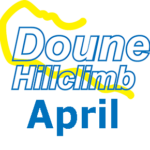 The April Doune National B event is open to competitors who hold a National B licence or higher and are members of any Motor Club that is part of the Scottish Association of Car Clubs, Scottish Sprint, Hillclimb and Speed Championship, Lothian car Club or invited clubs. Membership or Registration Cards must be shown. All competitors and drivers must produce a valid Competition Licence appropriate to the class of vehicle. Scrutineering at all events will be in class order according to the times specified in the final instructions. Cars must be ready for scrutineering at the correct time with the driver in attendance – if not competitors may lose their practice run. On both days, first timed runs will commence at a time to be announced by the Clerk of the course on the day. All drivers and vehicles must comply with MSA Technical Regulations. The length of the Doune course is some 1,350 metres.